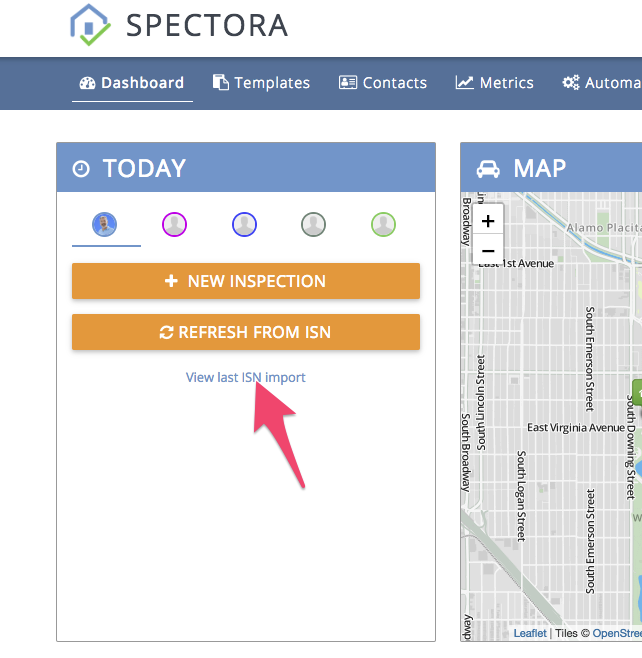 Here are all the reasons your ISN inspections might not be showing up in Spectora. 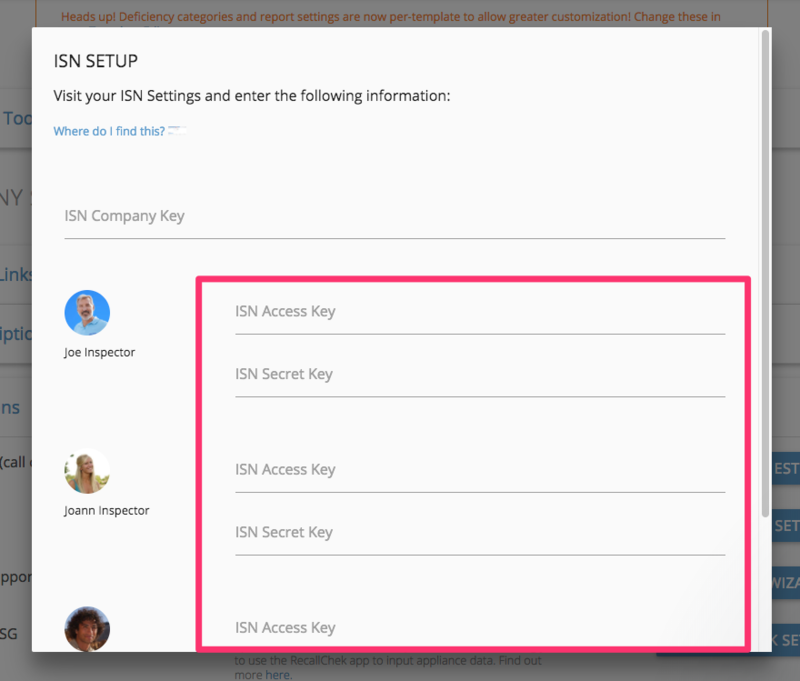 If you need help setting up ISN integration for the first time, read this article. If you are wanting to transition your back office from ISN to Spectora, read this. ISN exposes data for integrations via "footprints". If the inspection in question doesn't have a footprint, Spectora can't see it. The import log (detailed above) will show you what footprints we are able to see for each inspector. If you don't see a big green "YES" under the column "Footprint Exists?" then you'll have to create a footprint for the inspection. 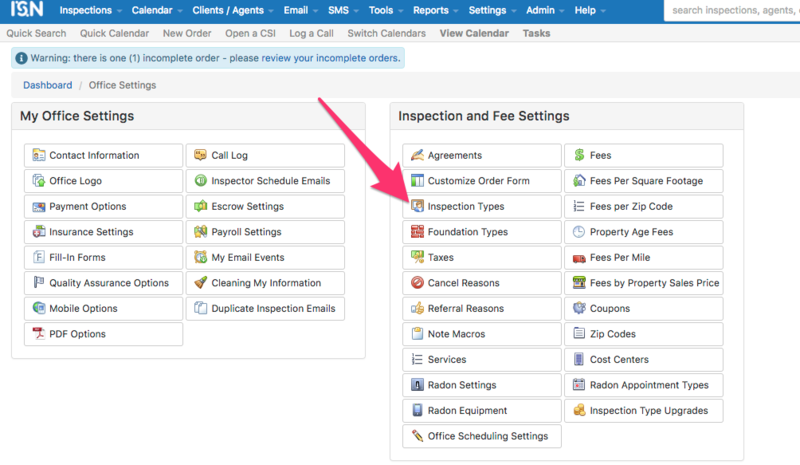 ISN also has settings to automatically create footprints for each inspection. For help with this, contact ISN support. *Note!!! 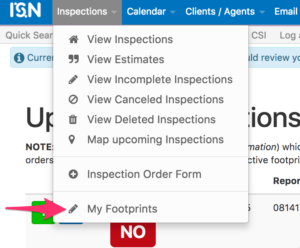 : Some other inspection software vendors like Horizon and TapInspect delete your footprints after they import the inspection. If you're seeing footprints disappear, disable your other software's ISN integration. If you're not seeing certain inspection types, re-run the ISN Setup Wizard and set all your inspections to import. 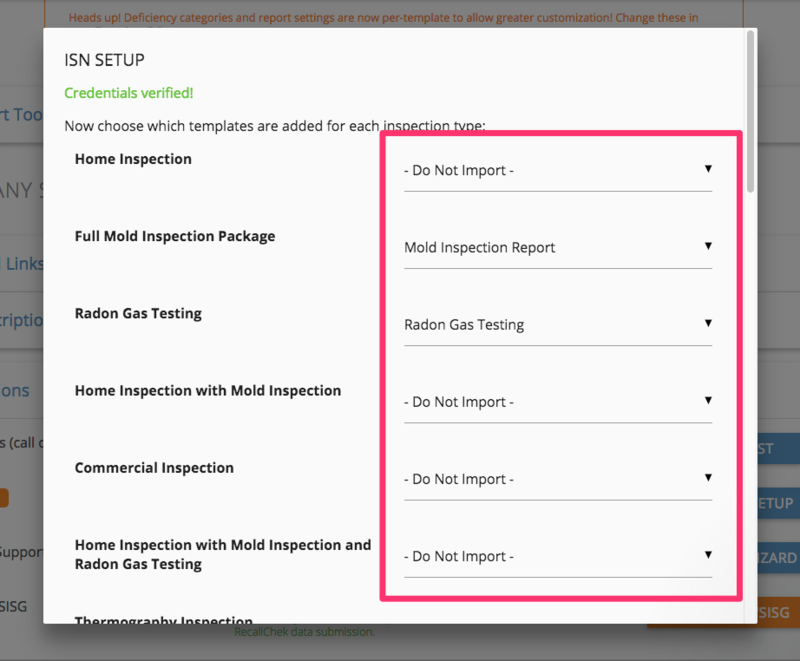 Note that you can set multiple templates to import for any given inspection type by just checking multiple boxes! If inspections for a particular inspector aren't importing, double-check their keys. 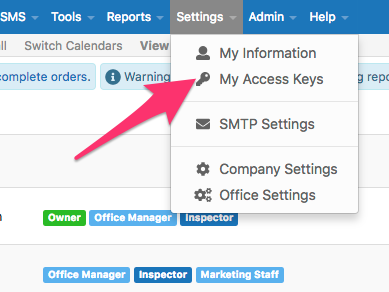 If you change your company name in ISN (and therefore ISN Company Key), you will need to re-input all your inspector keys as they will have changed. 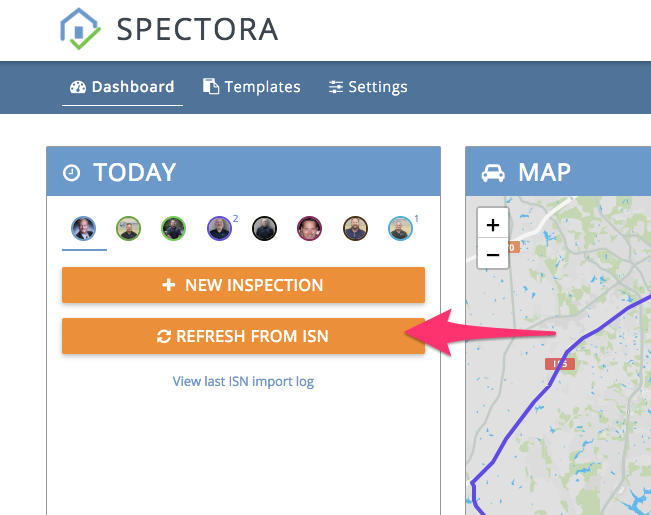 Each inspector in Spectora must have the exact same email address as they do in ISN. If you're seeing all your inspections mis-assigned to the primary inspector, double-check the email addresses and make sure they are identical in both systems! If you use multiple email address in ISN, the first email address in there must be the same email the inspector uses in Spectora. Our system requires a street address and zip code to import the inspection. We try to lookup missing zip codes, but if that fails the inspection will not import. You can avoid this issue by including a zip code on every inspection in ISN. Only hit it once per inspector! It may take a few seconds to retrieve your ISN data. Because ISN destroys footprints for canceled inspections, we have to do deeper queries to find out if an inspection has been scheduled. We do this once an hour (on the hour). This means it can take up to an hour for your inspections to be removed from Spectora after canceling in ISN.